The environment is the unity of space with all objects and the unity of living things including human beings and their behavior that perpetuates the life and welfare of humans and other living beings. It is undeniable that our activities as humans are increasingly busy and crowded every day. Technology is also growing every day. So that there are some of us just thinking about themselves without thinking about the conditions around them including the environment. Having a clean or healthy environment can make the people around them comfortable and healthy. So that keeping the environment clean and healthy is important and needs to be realized for each of us. Embedding habit early on to realize the importance of the environment is a very good way. 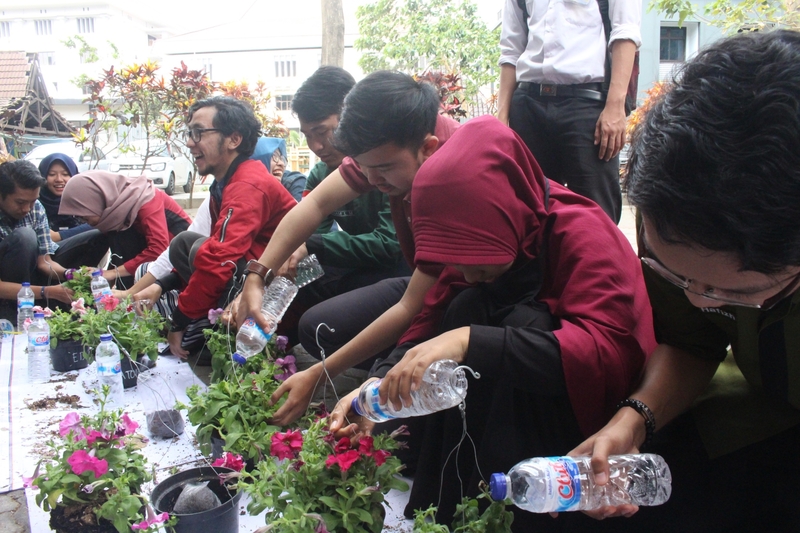 Starting with small things, for example by not disposing of trash, utilizing recyclable items (such as bottles), saving water, maintaining environmental cleanliness, and many other activities we can do to create a clean environment and healthy. The role of students as agents of change is very necessary in an effort to encourage increased sensitivity to the environment. 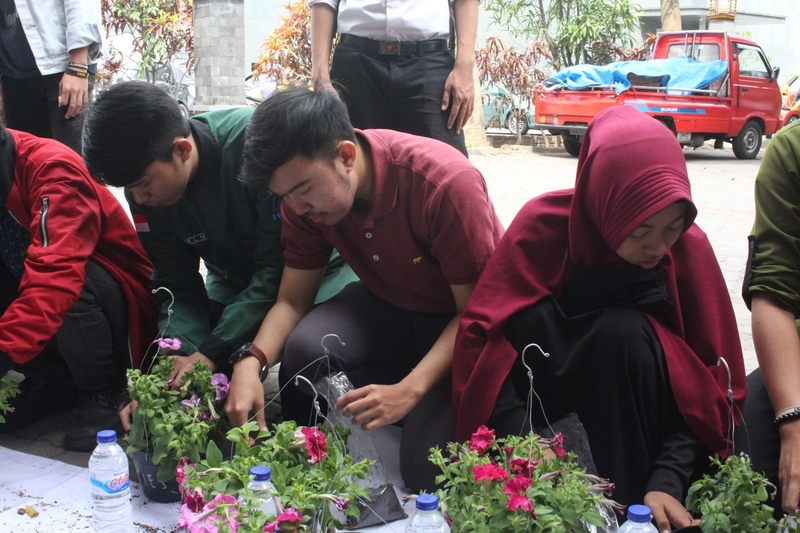 Through this work program, FEB Cinta Lingkungan hopes that there will be a step of change through real action inviting to carry out several activities to increase environmental awareness. There are 2 new daily programs for apprentice staff (Try to love secret posts and crisp safaris). Doing FEB bike activities as much as 2x, cycling to ijen and invitation. Making a FEB bike team, to continue FEBBIKER. Conducted FEBerjalan 1x with Soscamp. Placing 1 gallon for FEB Galon, located in Basement FEB UB. Perform exchange of online FEB Gallon x FEB intelligence. Increased interest in KM towards FEB Gallons, seen from filling gallons twice a week. Carry out 10 times Gersik and 2 times a Crash Safari. Conduct 10 times Solikin Darri Sekret. Carrying out 1 Time FEB Tumbler Exchange with 30 participants. Lack of mobs in the celebration of Grit and Crash Safari. Loss of the Grit cap and FEB Gallon pump. Lack of consistency of time in the expenditure of FEB Gallon and the implementation of Solik Darri Sekret. 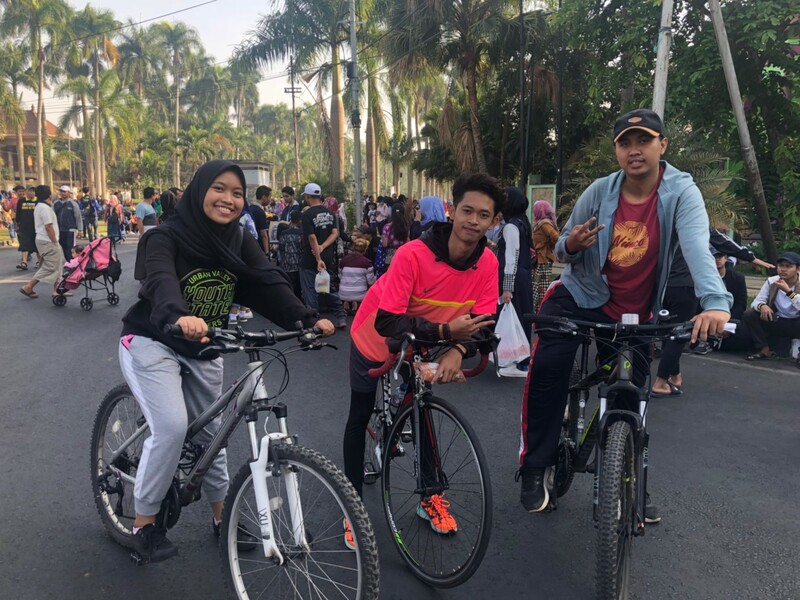 Lack of interest in FEBerjalan and FEBBiker KM. Not carried out the Gersik and Gersik Safari several times, due to the busyness of the department’s work program.